Bursting onto the small screen in 2011, HBO’s Game of Thrones was quick to garner critical acclaim and be catapulted into cult-like TV status. As well as launching its actors into the public eye, Game of Thrones also helped propel its filming locations into the travel hotspot stratosphere. Shot in locations as diverse as Northern Ireland, Morocco, Spain and Iceland, travellers have the opportunity to enter the world of fire and ice as envisioned by George R.R. Martin. 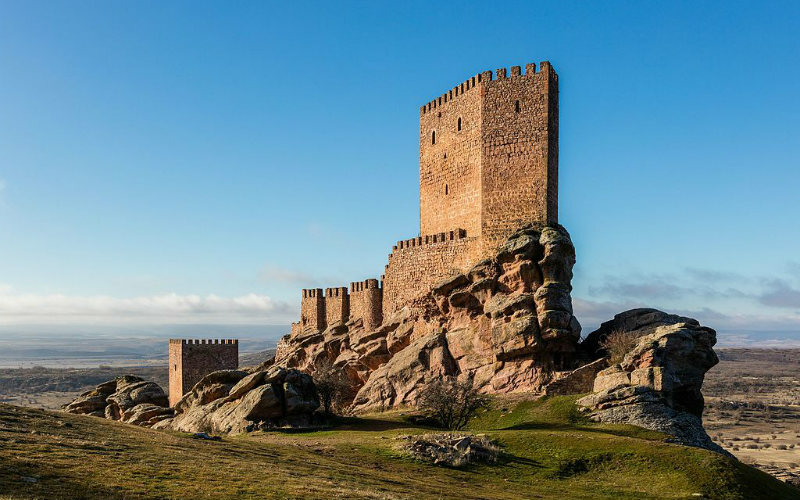 In the lead up to the show’s final season (airing in April 2019), make your own pilgrimage to one (or all) of these destinations and set out on your own quest for the Iron Throne. (Possible spoilers ahead!). 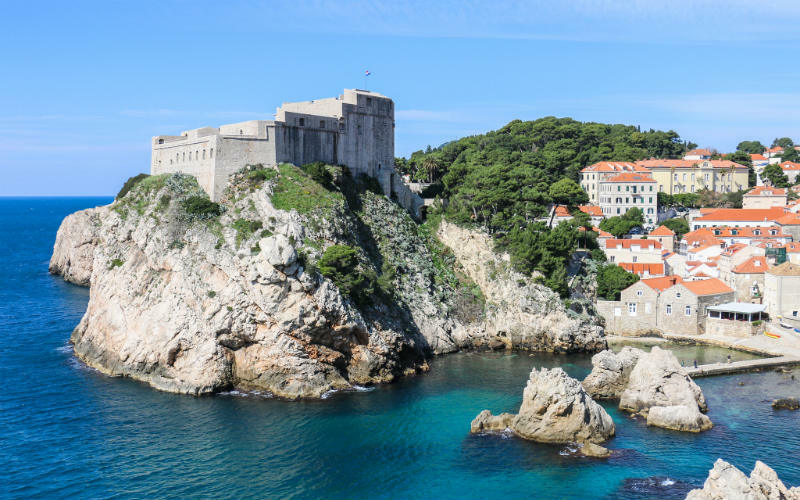 King’s Landing real-world location can be found within the medieval walls of Dubrovnik, a coastal city in the south of Croatia. The city’s 16th-century Old Town is used for all King’s Landing exterior shots, and is encircled by a 3-kilometre ring of defensive limestone walls. Croatia has been used as King’s Landing filming location since the second season and provides the setting for some of the show’s biggest plot points. Lovrijenac Fortress is the backdrop for The Red Keep, the palace of King’s Landing occupied by the Lannisters. 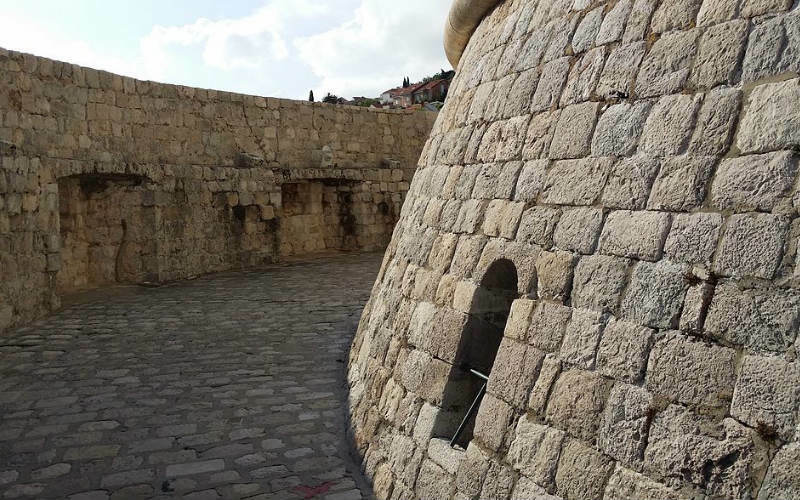 This limestone fortress is located just outside the western wall of Dubrovnik and stands 37 metres above sea level. The fort overshadows the two entrances to the city, by sea and by land, and sets the scene for the spectacular Battle of Blackwater Bay. The inner streets of Old Town have also played a part in bringing some major scenes from the books to life. Head to the famous Jesuit Staircase to see where Cersei took her ‘walk of shame’ along St. Dominic Street. This same street is also used in many of the series’ market scenes, and was the spot where the gold cloaks killed one of Robert Baratheon’s biological children. Lovrijenac Fortress, Dubrovnik, Croatia. Image Credit: François Philipp / CC by 2.0. Dubrovnik is also the location used for Qarth in season two. The Minceta Tower became the House of the Undying, where Daenerys has to rescue her dragons from the eerie Undying Ones. The lush greenery of Lokrum Island was also used as the setting for Qarth. The Croatian city of Split has doubled as Mereen ever since Dany and her dragons took over the city in season 4. The old stone buildings set the scene for Daenerys’s throne room, the underground crypts where her three dragons were kept, and more. Mincenta Tower, Dubrovnik, Croatia. Image Credit: Kigsz / CC by SA 3.0. The 15th-century stone architecture of the Croatian city of Sibenik has been used, from season 5 onwards, as the location for Braavos, with the St. James Cathedral becoming the House of Black and White. The winding streets and alleyways of Sibenik and the docks of Kastel Gomilica have been the backdrop to Arya’s storyline since she sailed across the Narrow Sea at the end of season four. What other location in the world could play the part of The Wall as well as Iceland? Large glaciers in Snæfellsjökull, Svinafellsjökull and the hills of Höfðabrekkuheiði have been used to depict the Fist of the First Men and the Frostfang Mountains. 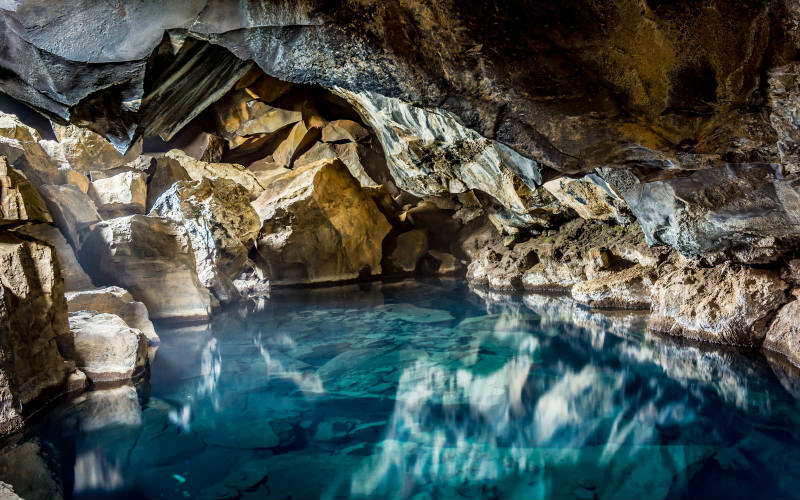 Visit Dimmuborgir, a lava field with interestingly shaped rocks and great significance in Icelandic folklore, and find yourself in the spot where Jon Snow and the Wildlings set up camp. Thingvellir National Park was also used for many of the exterior scenes beyond The Wall, and, during the warmer months, for Arya and The Hound’s travels in season four. Grjótagjá Thermal Spring, Iceland. Image Credit: Ron Kroetz / CC by ND 2.0. From Oldtown to Vaes Dothrak, Spain has acted as more than its fair share of Game of Thrones filming locations. The medieval city of Girona in Catalonia was transformed into Braavos and more recently, Oldtown. Situated around an hours’ drive from Barcelona, Girona acted as the backdrop for Arya’s stand-off with The Waif. The Cathedral of Saint Mary of Girona was transformed into the Sept of Baelor for earlier seasons of the show. Many fans were pleased to see the eagerly awaited Tower of Joy flashback scenes in season six, where the Castillo de Zafra in Guadalajara stood tall as the mysterious Dornish tower. Alcazaba in Almeria is the main location used to portray Dorne, and the Alcazar of Seville in Seville is the location of the Water Gardens and Sunspear, the seat of House Martell. 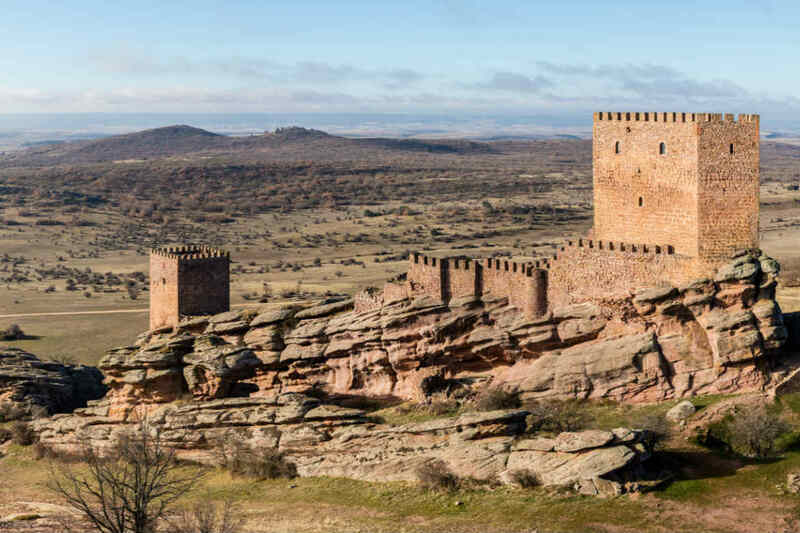 Castillo de Zafra, Guadalajara, Spain. Image Credit: Diego Delso / CC by SA 4.0. Heading across the Narrow Sea, we saw the Roman bridge of Córdoba in the southern Spanish city of Andalusia play the role of the Long Bridge of Volantis. Fans also saw El Chorrillo Sierra Alhamilla in Almeria as Vaes Dothrak in season six, and the Tabernas Desert in Castellon and Bardenas Reales in Navarre make up parts of the Dothraki Sea. Roman bridge of Córdoba, Córdoba, Spain. Image Credit: James (Jim) Gordon / CC by 2.0. The 4,000-year-old capital of Malta, Mdina, is sometimes known as the Silent City and is responsible for bringing The Red Keep to life, starting with the towering Mdina Gate. The gate is seen in season one as the Starks first ride into King’s Landing. 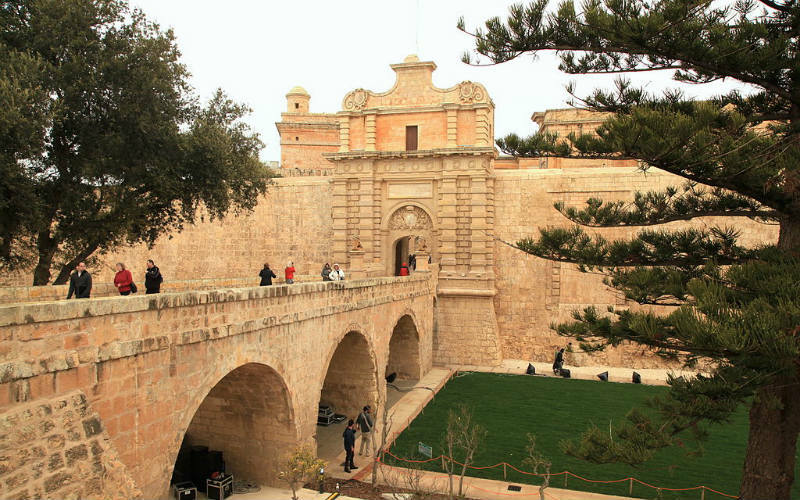 Fort Ricasoli plays the part of the Red Keep Gate, and the 16th-century San Anton Palace plays the part of The Red Keep. In the town of Birgu, the underground tunnels of the walled fortress of Fort St Angelo are used for scenes set within the Red Keep dungeons. Mdina Gate, Mdina, Malta. Image Credit: Frank Vincentz / CC by SA 3.0. Malta was also home to the beautiful ocean rock formation, The Azure Window, where Daenerys was married to Khal Drogo. The formation was lost to the sea in early 2017, after heavy winds and tides eroded the formation. 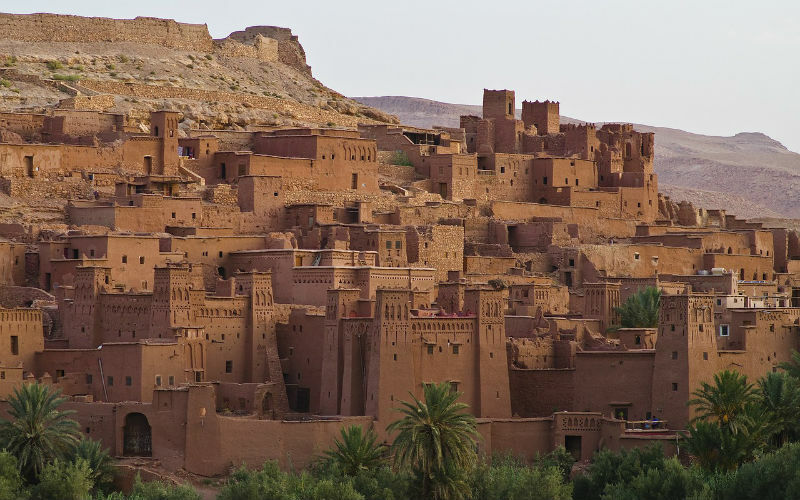 Morocco has been a popular filming location for Game of Thrones, ideal for depicting the eastern cities of Slaver’s Bay. Ait-Ben-Haddou, situated between Marrakesh and the Sahara, was the location of Yunkai and Pentos during season three. The city of Essaouira, located around 100 kilometres west of Marrakesh, was also chosen to represent the slave city of Astapor. Astapor was a significant win for the Queen of Dragons as an army of Unsullied warriors joined her in her fight for the Iron Throne. Northern Ireland is the main base for the production of Game of Thrones. A lot of the CGI scenes and larger interior sets are filmed in studios around Belfast. Although these live sets are closed to the public, there are still many filming locations across the country. Northern Ireland is used as a location for most countryside scenes in the Seven Kingdoms, including Winterfell and the Eyrie. Many of the show’s most recognisable filming locations can be found in the north-east of Northern Ireland, in County Antrim. Visit the ancient Castle Ward to experience the Stark home of Winterfell. The 1,000-acre castle grounds are used as the Winterfell exterior and occasionally as the Frey residence – The Twins. Head to Tollymore Forest Park to wander through the Haunted Forest where the first White Walker was found by the men of the Night’s Watch, and the home of the Stark’s direwolf pups. 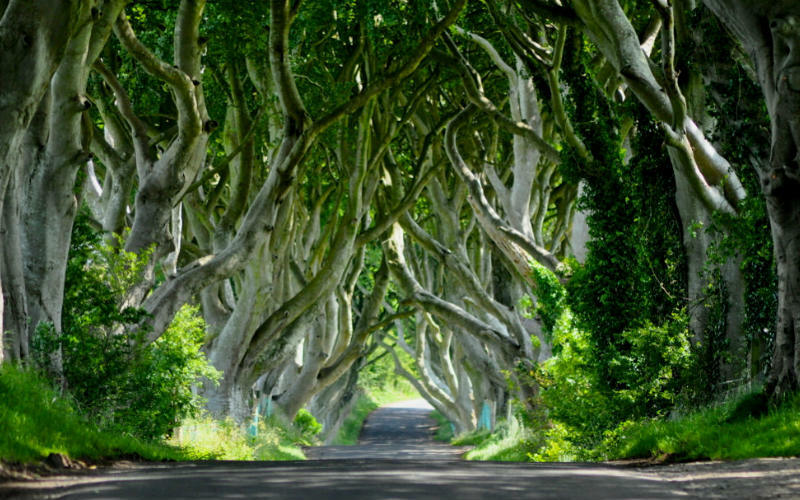 Take a trip to Stanocum to wonder at The Dark Hedges, the haunting avenue of beech trees that are used as the ominous road that heads out of King’s Landing. The Dark Hedges, Stanocum, Northern Ireland. Image Credit: horslips5 / CC by 2.0. 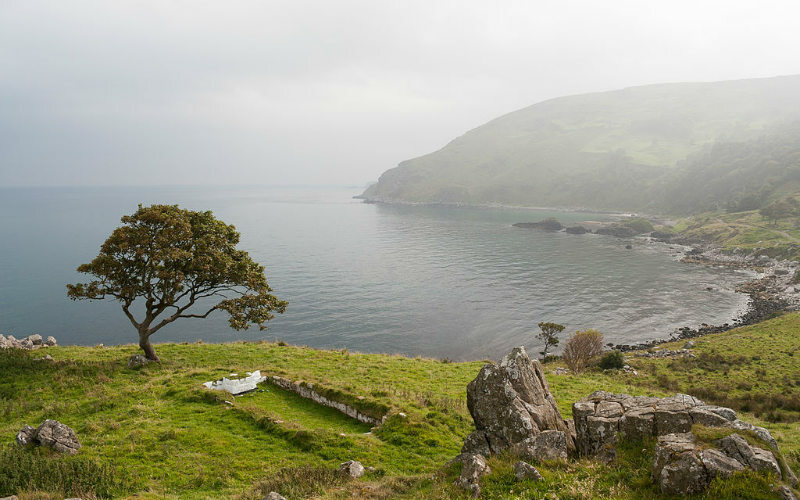 Northern Ireland is also home to a number of other Game of Thrones locations. The countryside town of Corbet was the backdrop for the battle for Riverrun in season six, while the Mussenden Temple and Downhill Beach, near Castlerock, is instantly identifiable as the original seat of the Targaryen house, Dragonstone. Here, the Red Woman and Stannis plotted to win the throne, Gendry was left to row into the night by Davos, and Daenerys has found her way home. Theon’s birthplace, The Iron Islands, is also found here, on the remote shores of Murlough Bay. Murlough Bay, Northern Ireland. Image Credit: Andreas F. Borchert / CC by SA 3.0. DE. 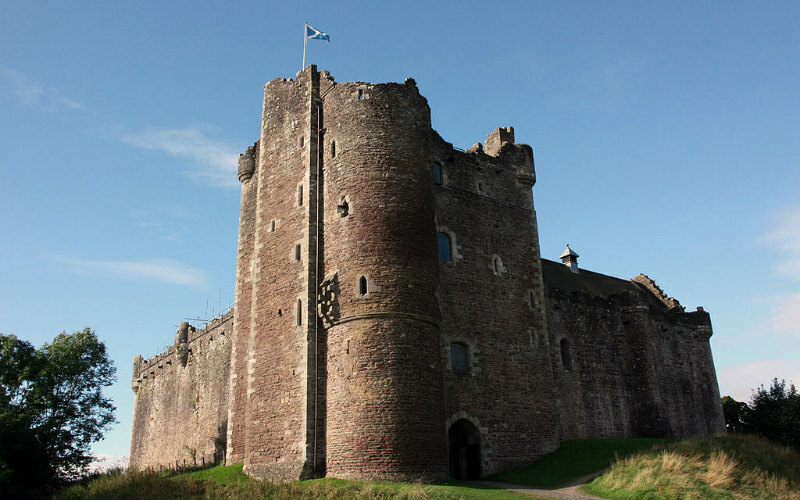 The medieval stronghold of Doune Castle near Stirling in central Scotland was used as the location for Winterfell in the pilot episode of the show. However, the team did not return to this location for future seasons. The castle is also famous for appearing in Monty Python and The Holy Grail. Doune Castle, Scotland. Image Credit: Wikifan75 / CC by SA 3.0. Ready to enter the world of Game of Thrones? Find cheap flights to destinations across the globe with Webjet. Feature Image Credit: Castillo de Zafra, Spain. Image Credit: Diego Delso / CC by SA 4.0.